Entrepreneurs Learning from Teddy Roosevelt Speech from 100 Years Ago | TechX Foundry - A Center to Commercialize Tech Hardware Products from Concept to Market.. 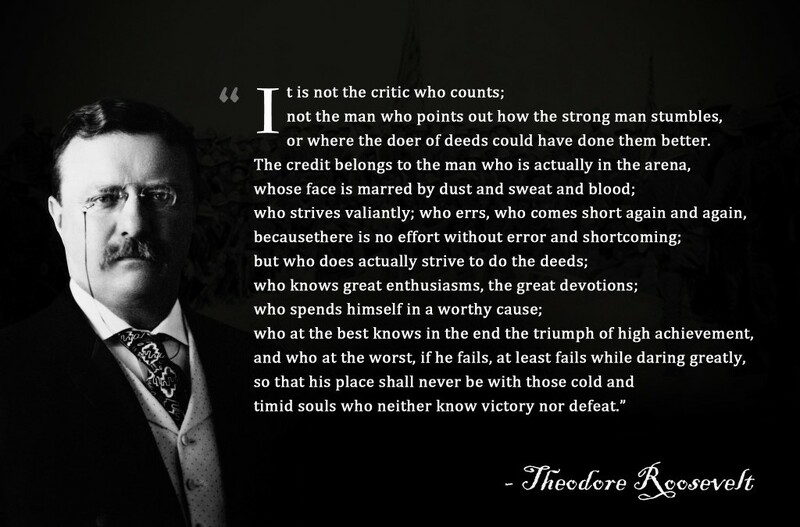 The Man in the Arena – April 23, 1910 – Theodore Roosevelt Speeches- Roosevelt Almanac. Thank you Shane Robinett for sharing this quote with me. It embodies the spirit of Bootstrapped Entrepreneurs and Inventors. We also know and recognize that mistakes are made and learned from and that persistence is a key ingredient of changing the market. Join us and make a difference by bringing your new Tech Hardware, Systems and Software to market.